← NCAC joins 53 other organizations to oppose the FISA “Improvements” Act – Add your voice today! Naturally, representatives of the art center do not feel the decision constitutes censorship (hint: they never do), saying instead that the exhibit “tries to steer away from controversy.” Case in point, the rest of the art is tame: “Everything else in this show is much more mild — very pastoral,” said art center coordinator Paula Goodbar. cultural institution by limiting the work permitted to be put on display to rosebuds and hedges. How pleasant. 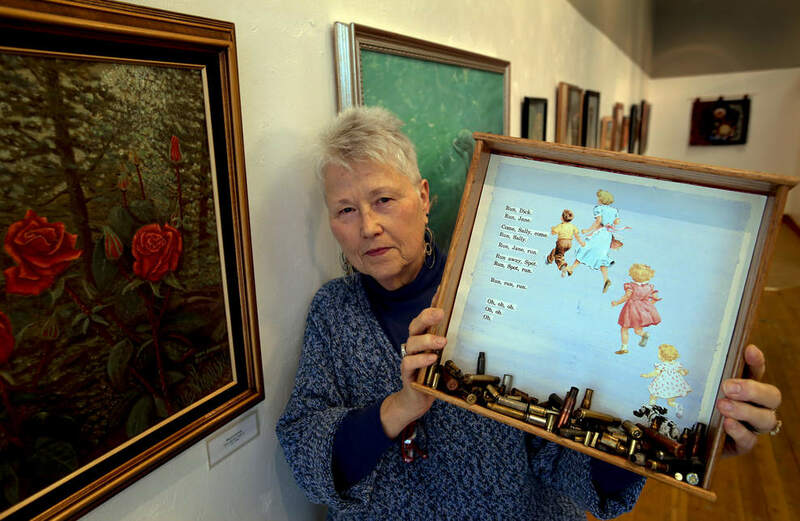 This entry was posted in Acacia O'Connor: Author and tagged art, art and censorship, Emerald Art Center, Eugene, Linda Cunningham, oregon, The Register-Guard. Bookmark the permalink. 1 Response to Why is this artist’s work “too controversial” for an art center exhibition?